Established in April 1990 Rashtriya Gramin Vikas Nidhi, popularly known by its acronym RGVN was established as an autonomous, non-profit organization / non-government organization (NGO) registered under the Society’s Registration Act of 1860 and headquartered in Guwahati, Assam. RGVN’s founding sponsor, IFCI Ltd., provided the initial set-up support and with time IDBI, NABARD and Tata Social Welfare Trust (TSWT) became its sponsors. In 2010, RGVN’s CSP programme was hived off to form RGVN (NE) MF Ltd. which is now the NESFB. RGVN is a national level multi-state development and support organization working in the states of Assam, Arunachal Pradesh, Meghalaya, Mizoram, Nagaland, Manipur, Tripura, Sikkim, Odisha, Jharkhand, Bihar. After expanding operations in the Northeast, development activities were also extended to the poverty stricken pockets of Chhattisgarh, Eastern Uttar Pradesh and coastal Andhra Pradesh. 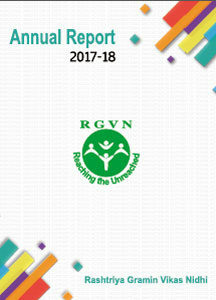 Over the years, RGVN has been able to groom and support small Community Based Organizations involved in a variety of livelihood enhancement programmes. RGVN’s core strength comes from its network of NGOs, Community Based Organizations and Self Help Groups, a number of whom have now grown and are capable of handling large development projects. RGVN operates through its Regional Offices based out of Guwahati, Bhubaneswar, Patna and Raipur and also mobilizes Development Support Teams (DST) from strategic locations.